Aster There are 14 products. An original aster in mass: double petals and green heart tassel burgundy. Port straight with strong stems making it an excellent dune flower bouquet vase held in higher than 7 days. Any soil drainage. 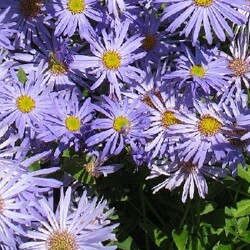 A aster korean port impeccable ball that grows well in partial shade and sun. Countless purple flowers in late summer. Easy in any good garden soil, it is essential to the garden. Never sick it supports heavy soils and drought. 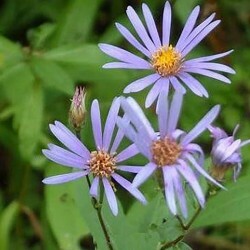 Wanted for its hardiness, its port into a ball, this beautiful aster canadian small blue sparkles starry ocher with small hearts. Good flower bouquets. Ordinary soil, drained. 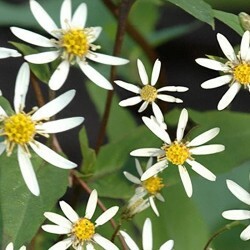 In the heart of summer, in flowerbeds, a small aster that offers superb contrast between black stems, dark green heart-shaped leaves and hundreds of small daisies in gold heart. Unaffected loïdium, this same plant in heavy soils and is drought resistant. Sure value. Similar to x laster. Frikartii wonder von stafa. 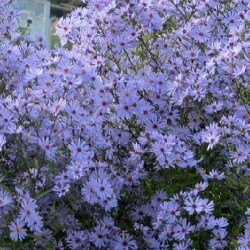 Aster summer, vigorous, very long and abundant flowering. Large bright lavender flowers 5cm fine petals. Culture in rich soil and fresh. Feared heavy, wet soils. Rare in culture. 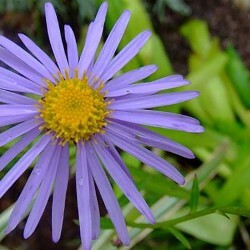 A native of korea aster similar to the flowering laster frikartii mönch. 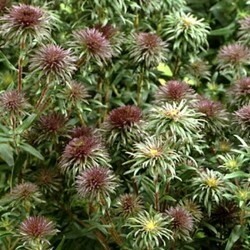 Beautiful contrast between its large dark green lanceolate foliage and large flowers lavender blue starry dark. Good garden soil. Original. 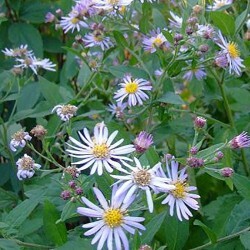 A large aster, precious, with its black stems, its purple foliage and lavender flowers. Beautiful solid background. 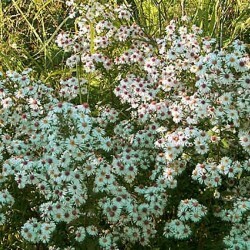 A large aster small white flowers that supports partial shade in danémones company of white or pink japan. Solid background. Port of a beautiful fountain falling snow effect. All soil. 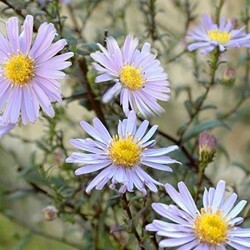 Grand aster summer like a.frikartii mönch but culture easier. Large flowers with petals light blue and gold heart purposes. Drought-resistant, insensitive to loïdium. Upright. All land. 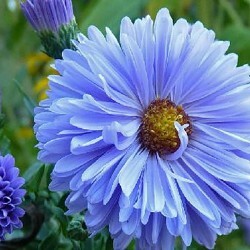 Autumnal flowering aster (september-october) with double flowers are of a powdery light blue. They can enter into the composition of bouquets or used in monochrome massive. 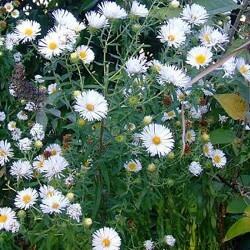 Grand aster the generous white flowers that form large clumps. Solid back. Magnificent bouquet. Normal soil drainage. 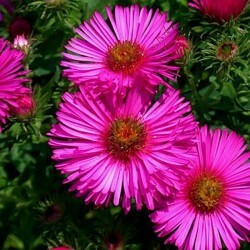 Grand aster vigorous and robust semi-double ruby ​​red mid-early blooming flowers. Any soil wet in fresh, rich and clay. Do not ask tutor.